This has been a busy time in Washington, to say the least, and I’ve been inspired by the level of civic engagement and community involvement here in the second congressional district — and across the nation. Thousands of you have attended my recent community town halls and events, and my offices have received many hundreds of phone calls, emails, and letters from informed and concerned constituents from up and down the North Coast. 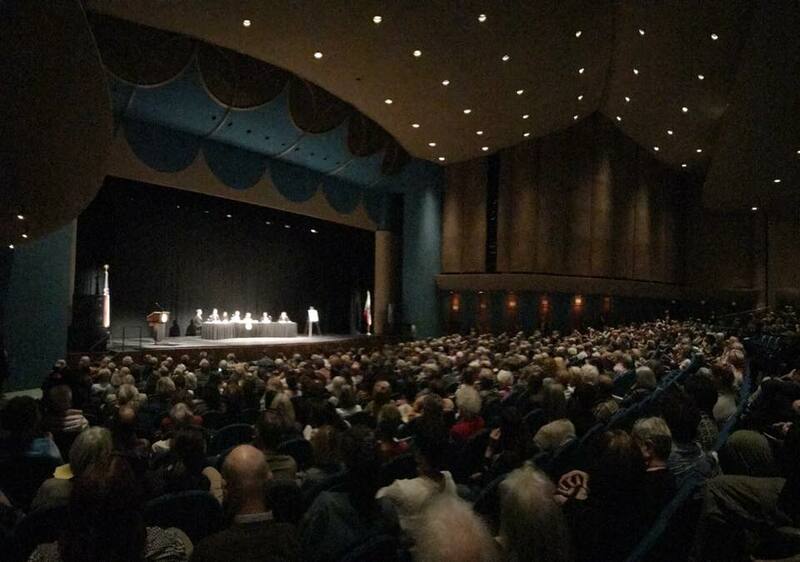 One of my recent town halls drew almost 2,000 vocal constituents to the Marin Civic Center (in the middle of the day on a Monday no less!). We discussed my opposition to the then fast-moving plans by President Trump to repeal the Affordable Care Act — and your deep concerns about what it might mean for you. On Friday, seeing Republicans pull TrumpCare, their dangerous repeal bill, from the agenda was a victory for everyone who came out to these town halls. It’s proof positive that when you raise your voice, we can accomplish great things. I wanted to highlight one voice we heard in Marin: 9-year-old Rhett Krawitt, who battled- and won- a tough fight to leukemia and who definitely understands the importance of having access to life-saving health care. Without the Affordable Care Act’s guarantees, Rhett’s family could have had insurance coverage denied for a preexisting condition. His story underscores why we should improve the Affordable Care Act, not repeal it. Rhett also gave one piece of wisdom that I wish someone would share with the President: “I may be only 9 years old, but I’ve known for a long time that health care is complicated!" The Trump administration has made it clear that protecting the planet from a changing climate is no longer a priority. We’re going to have our work cut out for us to save the progress we’ve made in recent years. I introduced legislation to permanently ban offshore drilling on the Pacific Coast: On the first day of the new Congress, I led 14 coastal lawmakers in reintroducing the West Coast Ocean Protection Act, a bill to permanently protect the Pacific coast from the dangers of offshore drilling. 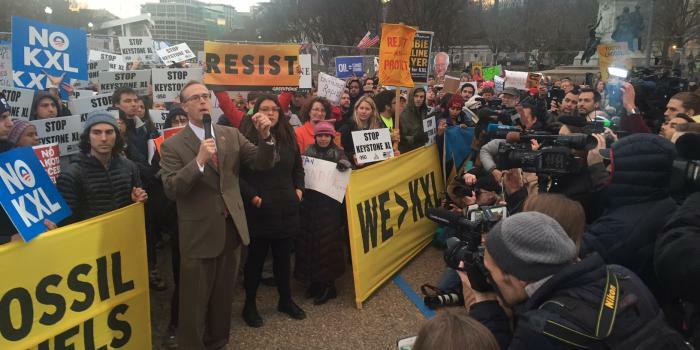 Read more about the bill here, and keep an eye on my Facebook and Twitter accounts for more of my actions to block dangerous oil and gas activities. I joined with my colleagues to send a letter urging an investigation of ExxonMobil: In February, I called on California’s new Attorney General Xavier Becerra to vigorously investigate ExxonMobil and other fossil fuel companies who may have intentionally misled the public about the causes and dangers of climate change. The letter can be found here. I am fighting against the injustice of the Dakota Access Pipeline decision and am continuing to stand up to protect tribal rights: When the Trump Administration approved a final easement to build the Dakota Access Pipeline — skipping the public review process — I joined with my House& Senate colleagues calling on the President to immediately reverse this decision and follow the appropriate procedures required for tribal consultation, environmental law, and due process. Our allies in the tribal and environmental communities are currently challenging this unlawful decision in court, and we’ll be working to support those efforts. Learn more here. I convened a local panel on defending climate change progress: I joined with experts for a town hall discussion to hear and address your concerns about the Trump administration’s actions to reverse clean air and public health protections. Hundreds of people turned out to join the conversation on how to protect our environmental progress. You can read more about the forum here. Legislation to ease tax burdens on homeowners making water-efficient choices. I led a bipartisan group of lawmakers in reintroducing the Water Conservation Rebate Tax Parity Act. Our bill would amend Federal tax law to clarify that homeowners do not need to pay income tax when they receive rebates from water utilities for water conservation and water runoff management improvements that they have made, as so many of us have in California. We shouldn’t penalize homeowners for doing the right thing to save water. You can read more about the bill here. National ‘Rosie the Riveter’ Day. I joined with colleagues across the aisle — and in both the House and the Senate — to propose a National Rosie the Riveter Day to honor the inspiring women who helped the United States win World War II. The changing roles of women in the workforce during the war forced us to look at child care and health care in a new way, and increased the momentum toward equal rights — a fight that continues today. We owe the Rosies a great debt, and must continue to recognize them as the American heroes that they are, which is why I’m so excited that we prevailed in the Senate this year. You can read more about Rosie the Riveter Day here. Legislation to improve how adoptions are conducted. I joined with a bipartisan group of members from both houses of Congress to reintroduce my original bill, the National Adoption and Foster Care Home Study Act, to ensure that the needs of adopted children are put first no matter which state they live in. With more than 125,000 children currently waiting in foster care limbo, there is an immediate need to create a registry with uniform reports and ratings so that social workers across states and jurisdictions can better match and prioritize children’s needs. It’s a simple but important idea that began in our own community, and you can read more about the legislation here. Legislation to ensure that credit unions can do their job: I joined with members from both sides of the aisle to reintroduce the Credit Union Residential Loan Parity Act. The bill assists small businesses in accessing capital and making investments in local economies, while boosting the construction and housing sectors. It’s too early to announce them today, but I’m working on a few more bipartisan bills that should be ready to introduce in the coming weeks, including some important environmental protections. Be sure to keep an eye on Twitter and Facebook to get alerts as we finalize those efforts. A few weeks ago, a retaining wall at the south end of the Last Chance Grade on U.S. Highway 101 failed, and a lane of the highway collapsed. That collapse just underscores the long overdue need for permanent solutions for the landslide-prone stretch of highway that is so important to the regional economy. I spoke with the head of Caltrans and the Federal Highways Administration’s Sacramento Office. Though both agencies are diligently pursuing both short- and long-term solutions, it is clear to me that we need to quickly step up the planning, authorization, and funding to avoid a future catastrophe at Last Chance Grade. Read an op-ed I wrote last fall on the increasingly dangerous situation with Last Chance Grade here. 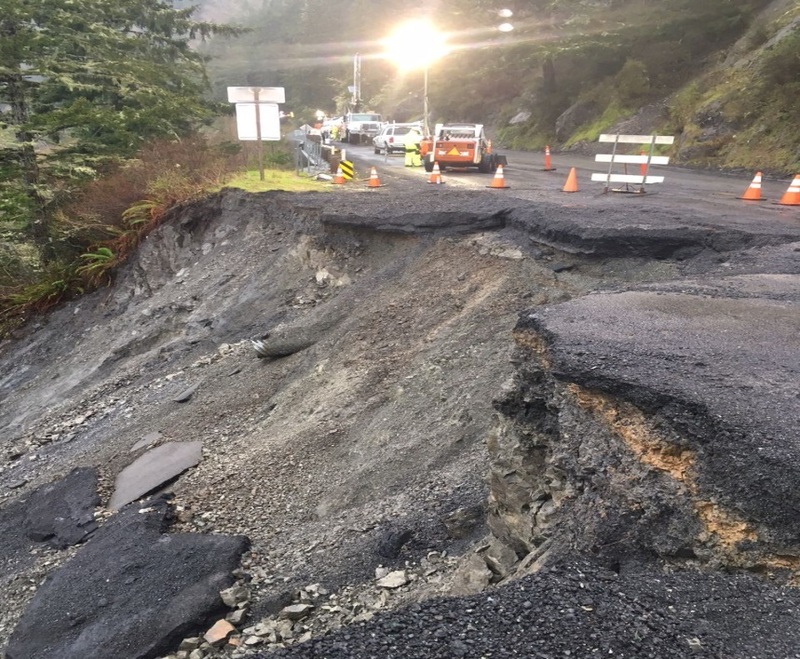 I plan to visit Del Norte County in the coming weeks to hold a community town hall, to personally inspect the damage, and to convene a meeting of our stakeholder group to help find a durable solution to this increasingly risky situation. And finally, of course, please take a minute to check out a recent episode of my “Off the Cuff” podcast, and any older episodes you might have missed. I had the privilege of sitting down with Gilda Gonzalez, interim CEO of Planned Parenthood Northern California, to talk about health care and to unravel some of the myths and misconceptions about Planned Parenthood. Contact me via Twitter, Facebook, email, or call one of my district offices and we will continue to help to the best of our ability. And check out my Instagram account to see photos from my Washington, D.C., office and across the 2nd district!